The admirers of a v-neck sweaters are quite devoted to this neck line, and is hard to meet their acceptance. 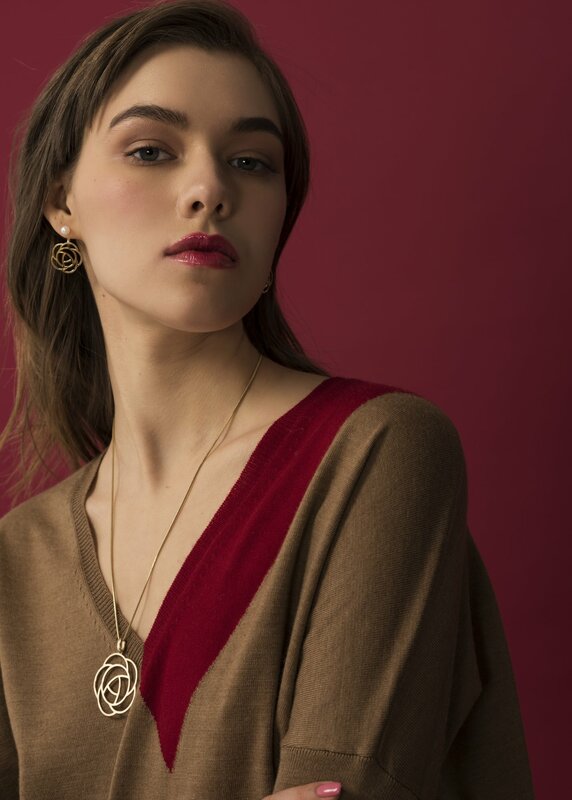 We wanted to add a fresh, yet minimalist effect to the classic T sleeve shape sweater and inserted a colorful stripe that together with the neckline creates visually a play on V’s, hence the name of our sweater. 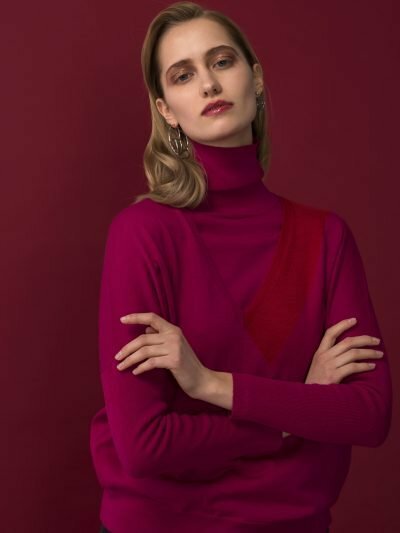 We recommend the same care as for all the other cashmere garments. For more info visit our “Care” section.